Carlos Bernard (24‘s Tony Almeida) joined former co-star Mary Lynn Rajskub (Chloe O’Brian) in the first episode of her “Kicking It Mary Lynn Style” podcast. He expressed doubts on whether a 24 movie would even be relevant in the current landscape. Do you think a movie is even relevant at this point? Like if the show came back on, do you think… It’s almost like it was of a certain time period, don’t you think? I don’t know the answer to it, I’m just curious about it. It seemed like the show really almost seemed like it was a Bush-era kind of show where terrorism was always [a thing]. Terrorism is not on the top of peoples issues anymore – it’s almost like we’re past the terrorist time. Osama bin Laden has been caught, the whole al-Qaeda network is falling apart; they’re just decimating it right now. It’s just sorta like, is it still an issue? The actors go on to discuss Homeland and agree that show is great primarily because of the personal stories rather than simply hinging on the ‘ticking time bomb’ scenario of an imminent terrorist threat. It’s an interesting discussion for sure and something that has been mentioned by critics in the past. You can listen to the full podcast here which runs a little over an hour. There’s not a whole lot of 24 discussion but Carlos briefly talks about convincing the writers to spare Tony’s life in the fifth season premiere, and his favorite Almeida scene (his interrogation at the FBI in the 24 Season 7 premiere). Seriously do people really think this way?! 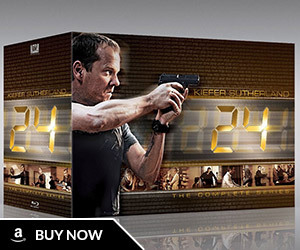 why wouldn’t 24 be relevant Just because the U.S took out ben laden people think this country is safer after that fact? really, if anything terrorism is worse. I’m in 100% in a disagreement with Carlo’s just wow I agree if or if they’ve not already givin Jack a compelling storyline the Fugitive story in Europe & him fighting for survival that’s interesting enough for me…… it will be no different then Safe house Bourne bond, M:I series movie’s. 24 would belong with any good espionage thriller that’s out there today. & all those movie’s have been about conspiracy’s or the CIA going after somebody or being about terrorism. I can’t believe people are this blind with this irrelevant opinion. It’s not like terrorism lasted one decade terrorism is still here & not getting any better. As long there are terrorists, russian mafia, mexican drug cartels, hidden moles in the C.I.A., and corrupt politicians, then Jack Bauer and 24 will always be relevant. 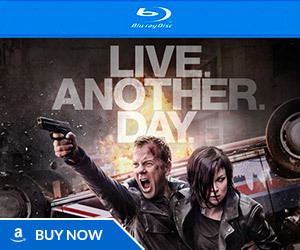 But the question we should be asking is does FOX think that the 24 movie is still relevant? Apparently Howard Gordon still thinks fox has a big interest in making 24 happen that & Kiefer won’t let go of Jack. I can understand why Howard & Kiefer both agree on that it sounds like. @gerrry mander: if the writer is smart enough to make that movie with that theme…. it would be AWESOME!!! So I think Jack Bauer is more than ever relevant. It could come back but focus on creating tension out of more realistic situations. Instead of a terrorist threat being over in an episode (and there being 5 or 6 threats in the series) do two or three threats, but spread them out longer, put Jack out on the streets, show him infiltrating an “Anonymous” style cyber terrorist organisation. 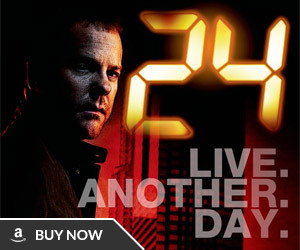 I agree that the “Bush-era” style of 24 isn’t relevent anymore and it does need to change with the times. It needs to be far more realistic–not to the extent of The Wire (too big a change), but certainly to have more realistic and developed characters and situations. 24 is very relevant.I’m seeing it over again.its a great work.